10. The Mountain…Duh: This one’s a bit obvious, but hey, that’s where that goggle tan magic happens, closer to the sun on the mountain. 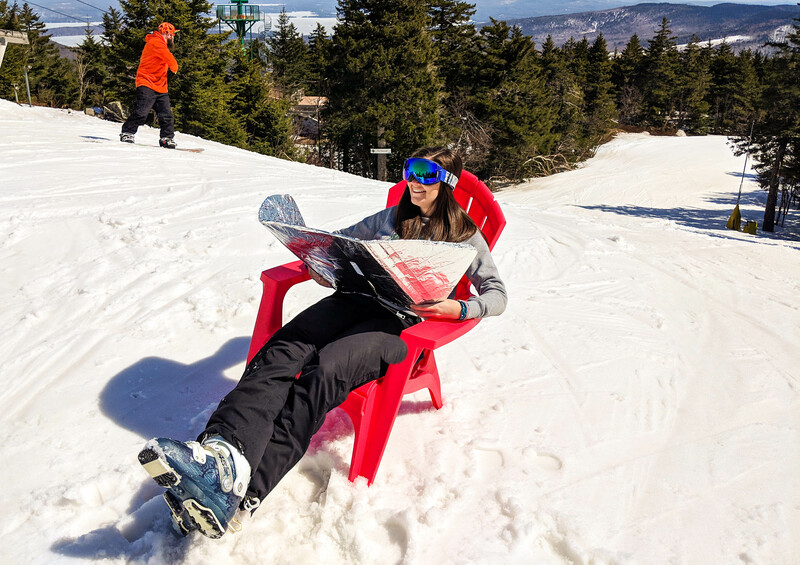 Best acquired while making beautiful turns, perfecting your park skills, or just enjoying a beverage outdoors between runs. 9. Your Local Fight Club: Heading into the basement for your weekly brawl? Come in with a sick goggle tan and assert your prowess! It might be intimidating, or it might not be, but it’s at least distracting and will help you land the first blow while bewildering your opponent. 8. Sunday Brunch: Meet up with your non-skier/rider friends for some eggs Benny and ask them how their weekend is going so far… I guarantee yours is going a lot better, because you’ve been taking hot laps in the spring sun and the bottom half of your face has soaked up more vitamin D than they are from their breakfast. 7. A Tanning Bed: Don’t let that stoke fade, keep representing! But keep your eyes and forehead protected from all those UV rays, freckles are for the bottom half only! 6. Monday Morning Meeting: The goggle tan is what I like to call the “face mullet;” it’s business on the top, party on the bottom, and shows everyone that you bring your A-game to the office AND the slopes. Your co-workers will respect your work hard, play hard attitude. You may even snag a promotion! 5. Parent/Teacher Conference: Hey, you’re there to discuss your kid’s progress, and that’s important. If your child is doing well this term, your goggle tan will show that you take your recreation time as seriously as you take parenting. 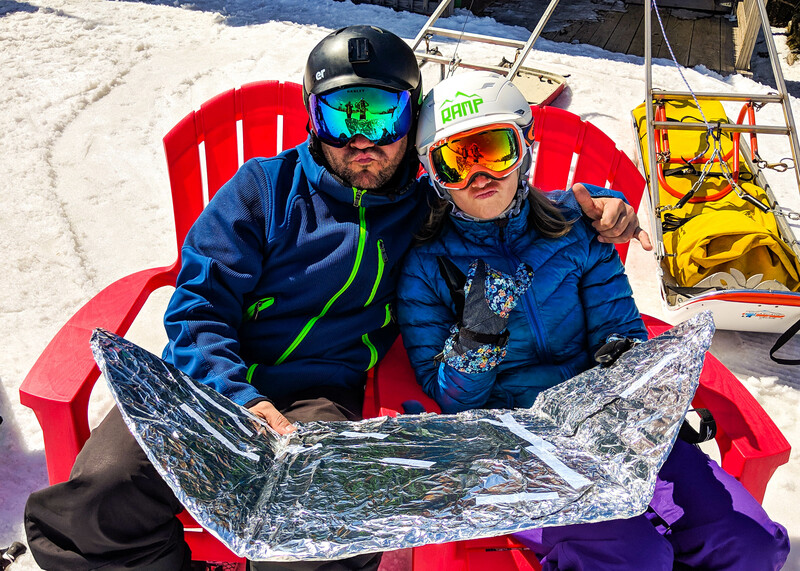 If your child isn’t doing as well, hopefully they’ll have a sweet goggle tan to match and show that they've been slacking not because of falling in with the wrong crowd or getting into trouble, but because they’ve been too busy shredding outside with you. Your homework: congratulate your kid on their GT, but also tell them to hit the books! 4. Final Exams: Nothing says “I’ve been up for three days straight” like acing an exam whilst rocking a facial half-and-half. Best supporting role: caffeine. 3. Your Friend’s Wedding: You clean up nice, and your face shows that you’re ready to cut a rug and have a great time! Bonus points if you’re in the bridal party—those photos are forever and will be framed all over the couple’s house for years to come. 2. Jury Duty: You’re there to be an intelligent, discerning member of society. You’re there to perform your civic duty, forsaking all other responsibilities and/or lucrative work. But you’re more likely to get eye-balled as you wait to be selected, and if they just happen to dismiss you because they’re not sure what’s going on with your face, then you’re free to return to the mountain and hop back on the lift for more runs! 1. A First Date: If he or she doesn’t appreciate your two-toned spring face, they’re not the one! If he or she is ALSO sporting a goggle tan, they get it-- marry them! 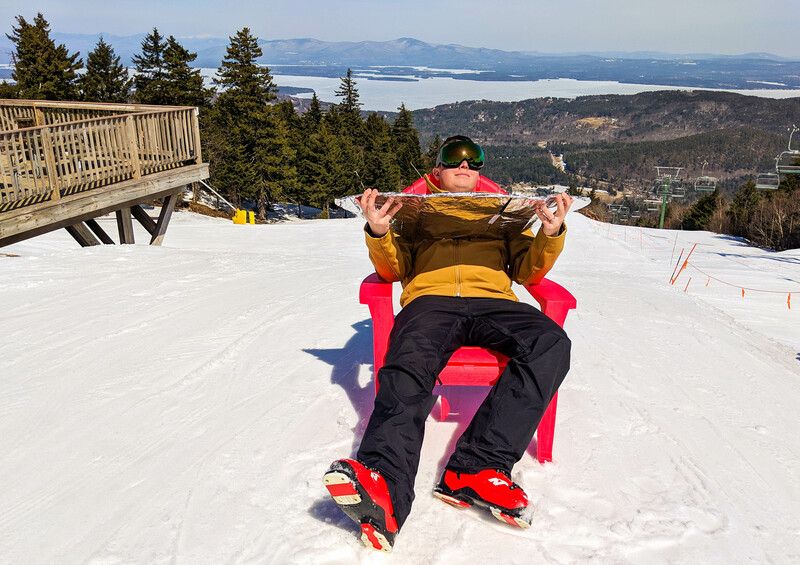 Speaking of goggle tans, I want to extend a shout-out and a congratulations to our Gunstock Freestyle Academy athletes who are bringing their hard-earned GTs to the USASA Nationals this week! Qualifying for this competition is a big deal, and we're proud to be your home mountain!